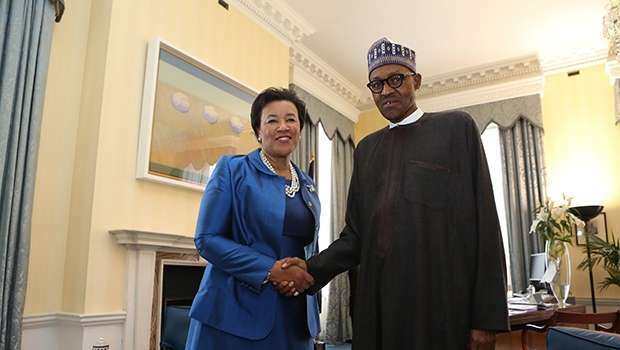 Commonwealth Secretary-General, Patricia Scotland, has said Commonwealth assisted Nigeria in recovering of about three billion dollars within one year. Scotland said this on Tuesday in Abuja when she visited the Minister of Foreign Affairs, Geoffrey Onyeama. She did not give specifics on when the money was recovered, from whom and how. The Secretary General said the amount could not be compared to what the nation got in 10 years. The Secretary General said that amount could not be compared to what the nation got in 10 years. Scotland said President Muhammadu Buhari was very clear on the repatriation of the funds, saying that it is a matter of pride to the Commonwealth to have been able to assist Nigeria in getting her money back. “We were very proud in the Commonwealth when the President graced us by coming to the Tackling Corruption Together Conference in May, 2016, and he explained so graphically, the wisdom that comes from corruption. “And I don’t think anyone would forget. When they asked him, what do you want out of this and he said, I want my money back. I want my money back to the people of Nigeria. “And this has been a matter of great pride to us in the Commonwealth that we have been able to assist Nigeria in getting its money back and in one year. ”Nigeria has managed to get back more money than it has got back in 10 years before. “It recovered about three billion dollars. That is over five hundred billion naira. “And that is money that can go to schools and housing and roads and I hope that we will get even more money back together,” Scotland said. Scotland also commended the Economic and Financial Crimes Commission (EFCC) for its fight against corruption in the country. She commended the EFCC Chairman, Ibrahim Magu, for the work he has done, expressing hope that it was just the beginning of the war against corruption in the country. “And I do applaud everything that the new commission is doing. “I was there to launch that building, fantastic building and I really applaud the acting chairman because of the work that he has done. “I am hoping that this is just the beginning and I pledge our continued support,” Scotland said. 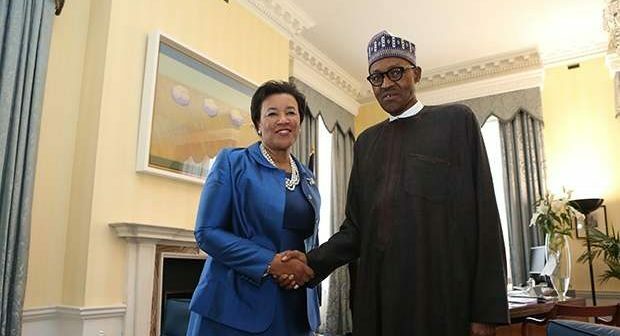 She thanked Nigeria for her generosity towards the Commonwealth and called for more support. In his remarks, Onyeama said anti-corruption was one of the three priority areas of the President. The minister expressed delight over the Commonwealth’s monitoring and supporting anti-corruption efforts, saying it was of high importance. He said Nigeria looked forward to having more cooperation and engagement with the Commonwealth, including funding. “We believe in the Commonwealth and we believe that the better funded it is, the more responsive to our needs it would be, ” he said.